“Senmaida” literally means “one thousand rice paddies,” but the senmaida of the Noto Peninsula contain almost double that amount. Each of the rice paddies is too small for modern machines to be used, so farmers must plant and harvest their rice by hand. For 20,000 yen (US$197) a year, anyone can own their own small rice paddy and experience traditional planting methods. Every year in October, the fields are lined with thousands of candles, creating a magical atmosphere. ▼ The senmaida at night in October. Preserving the traditions of the Edo Period, the Okunoto Salt Farms continue to harvest salt by spreading water from the Sea of Japan on fields of sand. The Suzu Enden Mura is open to the public and offers a salt harvesting experience, salt-making classes, and allows patrons to try their original salt soda. One of the three largest markets in Japan, the morning market of Wajima is a place where you can buy fresh local produce, seafood and other products. The Asaichi has been around in Wajima for hundreds of years and is still open daily. Kiriko Hall is a museum displaying colorful kiriko, festival floats illuminated by traditional lanterns. The kiriko are actually used during the summer festivals in the Noto Peninsula. Dating back to 1576, Gojinjyo Taiko has been designated as an Intangible Cultural Asset by Wajima City. The people of the area are said to have prevented a warlord from invading Noto Peninsula using Gojinjyo Taiko and masks made of bark and seaweed. Enjoy the 8km (5 mi) drive along the sandy beaches of Chirihama. The Noto Kongo Coast offers around 30 km (18.6m) of breathtaking coastline. Ganmon, the Gate Rock, is the coast’s most famous rock formation. Carved by strong wind and sea waves, the Window Rock is an interesting rock formation with a hole in the center that is two meters wide. It looks particularly beautiful at sunset. Wild dolphins frolic off the coast of the Noto Peninsula. 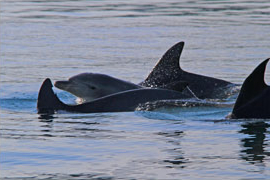 Tourists can enjoy dolphin watching or snorkeling tours. Surround yourself with hundreds of illuminated jellyfish at Notojima Aquarium’s jellyfish tunnel. Visitors can watch friendly dolphins swim overhead in the dolphin tunnel. Once the head temple of the Soto Buddhist sect, the main temple building of Sojiji was almost entirely destroyed by fire and was later moved to Yokohama. However, the original temple grounds are still used today and visitors can view the remaining buildings and temple gardens. Enjoy picturesque views of Nanao Bay as you soak your tired feet in the free foot baths at Yuttari Park. Natural water from the nearby Wakura Hot Springs will relax your entire body after a long day of sightseeing.